Gillingham will check on defender Alex Lacey ahead of the Sky Bet League One match against Blackpool. Lacey twisted his knee during the warm-up ahead of the win over Fleetwood on Saturday, so continues to be assessed. Defender Bradley Garmston and midfielder Josh Rees and were both not fit at the weekend with unspecified knocks, but were expected to be back in training ahead of Tuesday night's clash. Midfielder Callum Reilly (groin) continues his recovery from a groin problem. Blackpool could have goalkeeper Mark Howard available again for the trip to Kent. Howard was absent for the first league game this season with a thigh problem as Christoffer Mafoumbi deputised between the posts in the home loss against Bristol Rovers. Defender Daniels Donervon is closing in on a return from a hamstring problem, so could also be involved again. Striker Armand Gnanduillet and defender Paudie O'Connor continue to serve out their respective three-match suspensions. Gillingham's 0-3 defeat to Blackpool at Priestfield last season was only their third home league defeat to the Seasiders in 17 games (W8 D6). 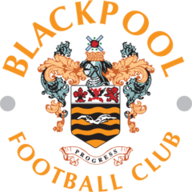 Blackpool haven't won back-to-back league matches against Gillingham since April 1997. 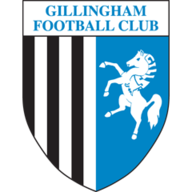 Gillingham have won their last two matches by an aggregate score of 7-0 - they had won just one of their previous 15 games in all competitions (D4 L10). Blackpool boss Terry McPhillips has lost his last three games in all competitions - one more than in his first 17 in charge of the Seasiders (W8 D7 L2). Since the start of last season, Gillingham striker Tom Eaves has scored 28 goals in League One - more than any other player.